Published on July 12, 2017. The slow demise of traditional retail has been well documented. But a similar shift in consumer habits is now hurting another industry: Drink and snack companies. On Tuesday, PepsiCo Inc. CEO Indra Nooyi echoed what companies like Target and retail analysts have long been saying: More spending is happening online -- and for experiences, health and wellness instead of possessions. 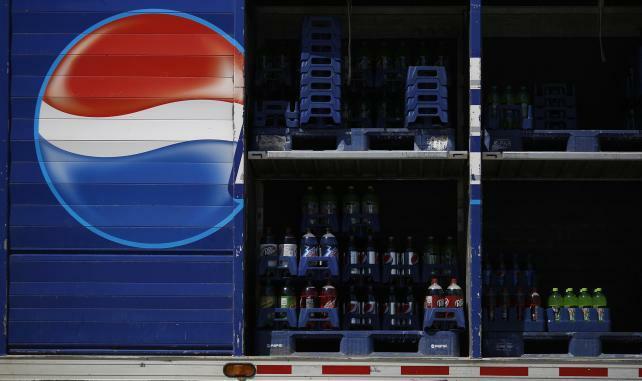 PepsiCo's comments on consumer trends overshadowed the Purchase, N.Y., company's second-quarter results and have consequences for the whole consumer staples sector, which has underperformed leisure and recreation stocks this year. Customers are "seeking more premium experiences and at the same time seeking value. And across the spectrum, consumers continue to be interested in health and wellness but with differing definitions," Nooyi said on a conference call with analysts. As with retailers, consumer-products giants are adjusting to the world of Amazon and delivery startups. PepsiCo and Coca-Cola Co. spent decades building a distribution system that serves vending machines and brick-and-mortar stores, but they're still in the beginning stages of selling products directly to customers online. Many consumers also are favoring experiences over more material purchases. Mirroring this shift, an index of hotel, restaurant and leisure stocks has gained 25% since the start of 2016, while apparel stocks have fallen 18%. A gauge of consumer staples is up 8% over the same period. While staples companies haven't been the most apparent losers from changing consumer behavior, PepsiCo's comments show that they may be beginning to feel the pressure. Retail's "shifting sands and macro headwinds will make near-term earnings beats challenging" for PepsiCo, Wells Fargo analyst Bonnie Herzog said in a note to clients. Still, PepsiCo gets a large proportion of revenue from snacks, which are easier to sell online than beverages, she said. That means the company is better positioned to adapt than some of its peers. PepsiCo's comments were similar to those made by Coca-Cola CEO James Quincey, who told Bloomberg in May that when shoppers skip trips to the local mall and shop online, they also forgo buying Coke at a vending machine or food court. Coca-Cola investors will be watching to see how that may hurt second-quarter results on July 26. Nooyi's remarks were "an acknowledgement to the intensifying competitive environment that will likely get more so with Amazon involved," Bloomberg Intelligence analyst Ken Shea wrote in an email. Still, some consumer products companies will be more vulnerable than others to change, and PepsiCo's "huge distribution reach and agility arguably make it less vulnerable" to changing shopper behavior than its peers, he said.